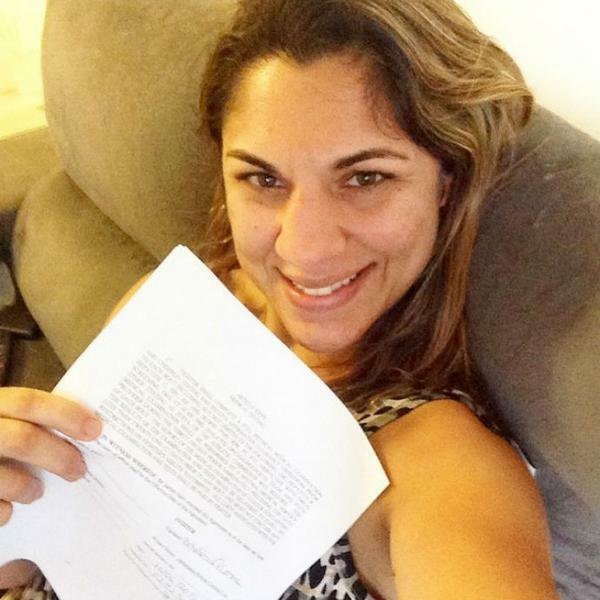 The number one contender to Ronda Rousey’s UFC bantamweight title, Bethe Correia has signed a new eight-fight contract with the UFC ahead of the biggest fight of her MMA career. The undefeated bantamweight fighter, who takes on Rousey at UFC 190 at the HSBC Arena in Rio de Janeiro, Brazil, on Aug. 1, announced the deal on social media. In a recent appearance on The MMA Hour, Correia predicted a win over “farce” Rousey via knockout. UFC 190 takes place at the HSBC Arena in Rio de Janeiro, Brazil, and airs live on pay-per-view.